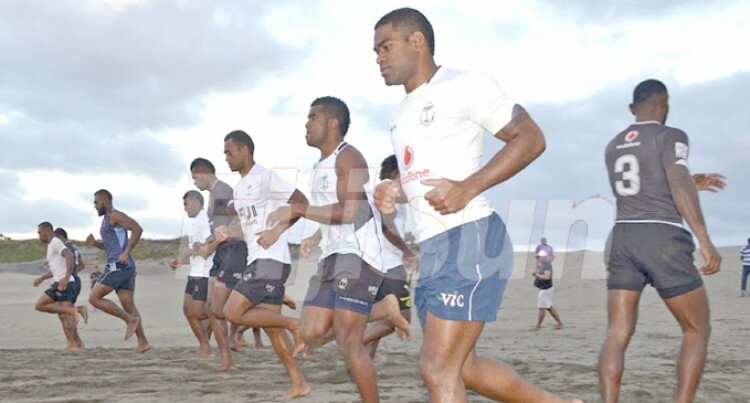 Team Fiji’s 7s rugby team have a perfect opportunity to herald a breakthrough moment at the Rio Olympics next month. It can rebrand and transform our rugby-crazy nation to a whole new dimension. Prime Minister Voreqe Bainimarama made it clear that this is our moment to capture and make the world take notice. Rugby has been part of life and this is an opportune time to create something new, more historic for our country. Rugby has that that special pull to bring all races together and the country to a standstill. And the Blitzboks would like rugby to transform South Africa once again from the ‘Rainbow Nation’ to new high. Bainimarama is leading the charge just like when Mandela pulled on the famous green Springboks rugby jersey at the 1995 Rugby World Cup final against New Zealand at Ellis Park in Johannesburg. It inspired the team to win the William Webb Ellis Trophy for the first time, brought the people together and ended years of apartheid. Success at the Olympics would bring just another chapter in an already glittering career for the Ben Ryan-coached team. It will be not only be important to the players but to our country. We have seen the delight when gold-medal athletes coming home from the Olympics, and by doing the country proud it brings the nation together. We’ve yet to through the same experience at home. Ryan has done it before for Fiji winning the World Sevens Series two years in a row, knocking off Dubai and Las Vegas for the first time during the World Seven Series. There’s no secret weapon in the 13 players named on Saturday better than Ryan himself. DOB: April 2, 1988,Height 1.99m. Always commands attention due to his ball-handling skills, powerful in attack and offloads, crucial in lineouts and kick-offs. Like Ryan, he needs to bury the ghost of the Rugby Sevens World Cup in Moscow 2013 in Rio. The long striding ‘Beast’ needs only to prove Ben that he is physically fit to get the nod. He has powerful frame, reliable under pressure and the go- to-man when the tough gets going. Good season in 2014-2015 where he scored 37 tries and named in three Dream Teams’ (Gold Coast, Las Vegas and Glasgow). DOB May, 29, 1988, Height: 1.95. Easy choice, proved his worth all long since he won the Campese-Serevi Medal for being the best player during the 2012 Coral Coast Sevens. This year he was crowned the DHL Impact Player of the 2015 16 series and making the Dream Team of the series. Winning the kickoffs is his speciality, protruding runs create space and reads the game well. Edged out hardworking Nemani Nagusa due to his athletic ability and support play. Always under-rated but only get omitted from the squad when he’s injured. Powerful at scrum time and good in defence. ‘Sharkie’ made his debut at the 2016 USA Sevens and has never failed to impress. The 13th man is a strong impact player. The first Fijian to have played in 52 World Sevens Series tournaments since he debuted for Fiji in the 2008 Dubai Sevens. Humble, able leader, commands respect as he leads by example. Dedicated, committed and a reliable last man in defence. His ability to create something out of nothing got him the nod over Amenoni Nasilasila. The 2014 World Sevens Series player of the year got the nod after he impressed Ryan in the final week of preparation. Good understanding and read the game well. Found his form back after drilling at Uprising Beach Resort and Sigatoka Sand Dunes. Battler and always a match-winner for Fiji. The ‘Fijian Bus’ returned after three years after making his debut at the 2013 Wellington 7s. Playing for Toulon in France, a hard man to stop.